PLANT NAME: Youngia japonica (L.) DC. 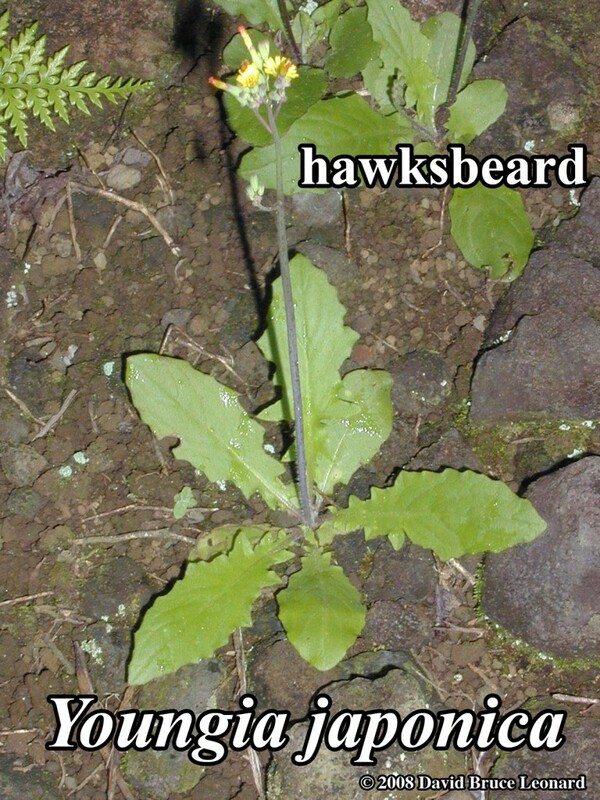 OTHER NAMES: Chondrilla lyrata, Crepis japonica, Prenanthes japonica, Prenanthes lyrata, Prenanthes multiflora, Youngia lyrata, Youngia thunbergiana. 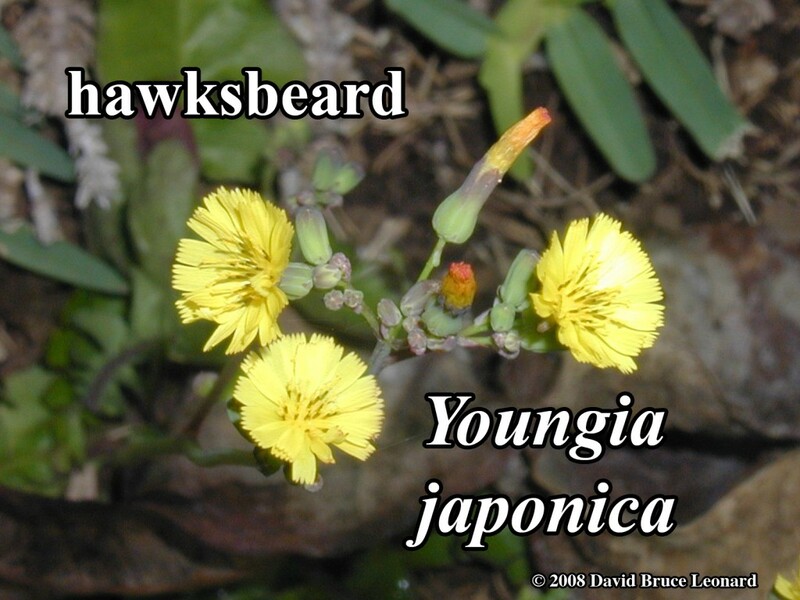 COMMON NAMES: Oriental hawksbeard, asiatic hawksbeard [English]. CATEGORY: Clear heat and poison ~. PREPARATION OF MEDICINE: Decocted. Mashed for topical use. WESTERN FUNCTIONS REPORTED:Antidote; anti-inflammatory; antitussive; diuretic; febrifuge. Clears heat & reduces inflammation. RANGE: Native to Southeast Asia. RESEARCH: Methanol extracts of Youngia japonica are antibacterial [Yang 1995]. ENERGETIC CAUTIONS: Caution with cold deficient Spleen / Stomach ~. Although it is sometimes difficult to find enough to use in a a formula, it can be useful as a second level (back-up) herb in formulas for infections. Similar plants might include Stachytarpheta, Vernonia, Emilia, Taraxacum, and Sonchus. First level (primary) herbs might include Bidens, Musa, Waltheria, Prunella, Hedyotis, or Usnea.